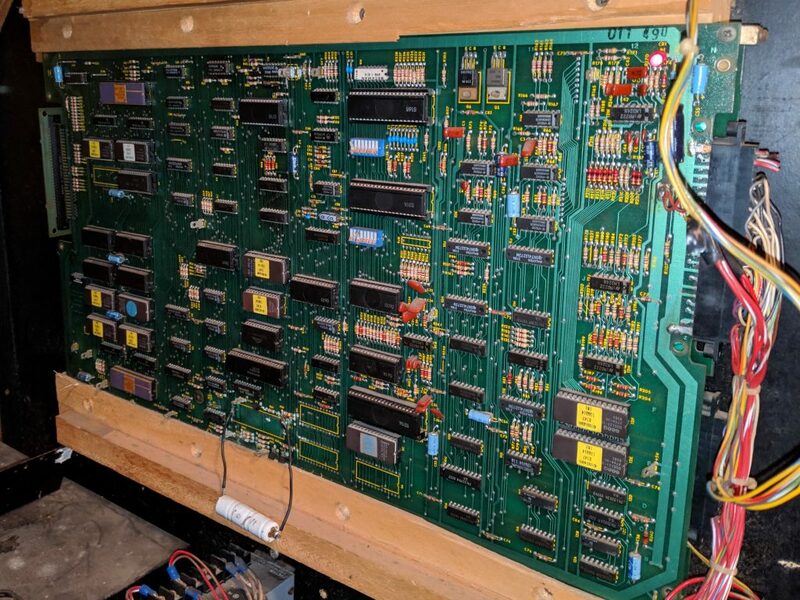 I had hoped against hope that the problem would be something simple related to the power supply unit, but I couldn’t remember if Pole Position II had been retrofitted with a switcher for the game board. I needed to pickup a new power supply for the recently croaked and troubleshot Frogger system at the Palm Springs Midmod property, so I ordered a second one just in case I got lucky and determined the issue was related to the power supply. 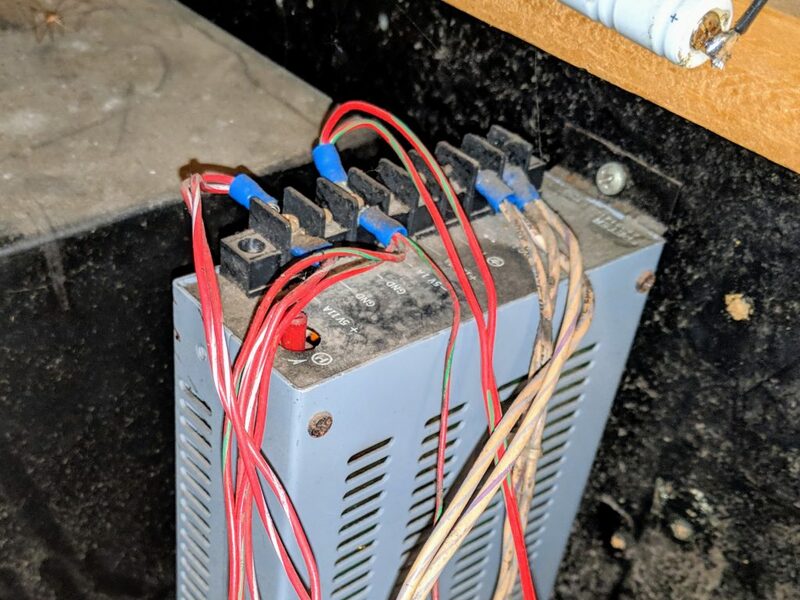 The good news was that the Pole Position II system was retrofitted with a switching power supply, but the somewhat bad news was that the voltages pretty much checked out. While the +12V was running a bit high at 14V, adjusting the voltage pot on the switcher didn’t change what was occurring with the system. As I feared, something was up with the game board and would need more in-depth troubleshooting. 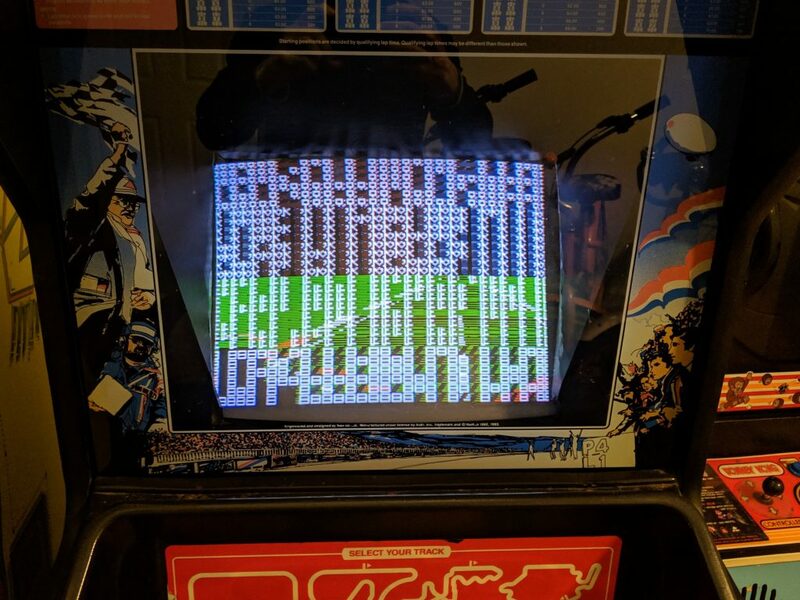 I will post to the KLOV/VAPS discussion group to see if anyone might have some ideas on troubleshooting a Pole Position system with a screen lockup like I am seeing.